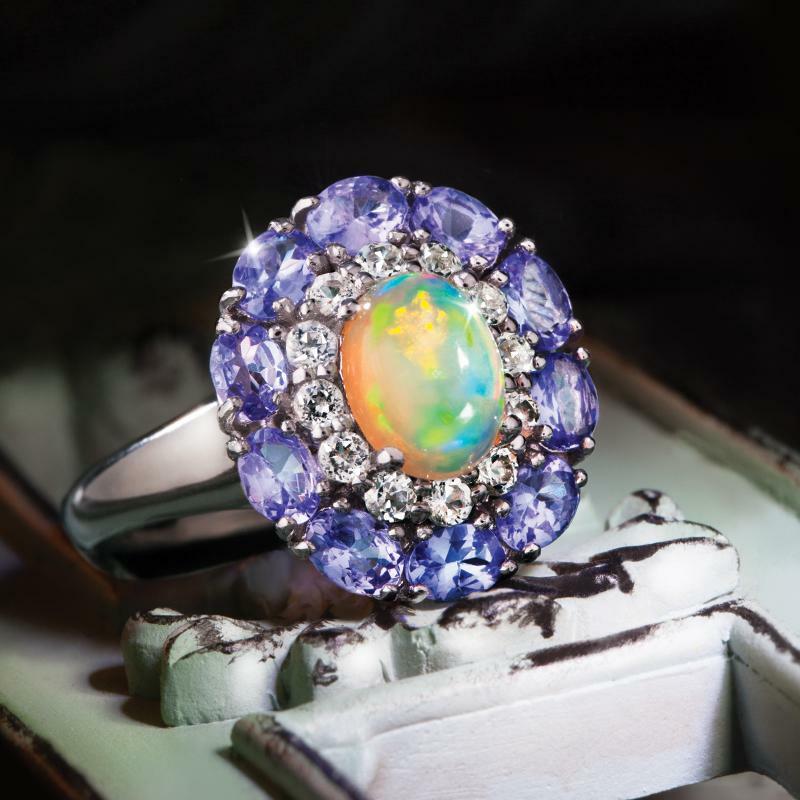 Ethiopian Opal and Tanzanite come together for a pairing of almost mythological proportion. When Zeus banished the Titans to the underworld of Tartarus and ascended to rule the world from the heavenly Mount Olympus he cried tears of joy for his victory. These rare tears fell to the earth and landed as opals. The Greeks referred to this magical gemstone as “opallios,” which means to see a change in color. Also as rare as a god’s tears is tanzanite, the blue gemstone with purplish accents that can only be found in Tanzania itself, in the shadow of Mount Kilimanjaro. We came up with the Opallios Tanzanite Collection to unite both unique gemstones into a masterful pairing. Made of genuine Ethiopian Opal (known for its exceptional color play) and the incredibly rare violet blue tanzanite. A sprinkling of white topaz completes the ethereal look. Just because the tears of a god and tanzanite are both rare doesn’t mean they have to cost a godly sum. We’ve made them both downright affordable. And, we’ve saved you a trip to Mount Olympus and Mount Kilimanjaro too!